Create and manage your lifestyle by owning your own business. An exciting opportunity to own and operate your own Mobile Equine Salt Therapy business. Our salt chambers have proven they can be adapted to operate in any environment and climate. From the below zero temperatures of Ireland to the dry, arid head of the UAE. We are looking for passionate, driven and engaging people to deliver our patented salt therapy system to the broader horse community. All of our salt chambers are customised to ensure safe and effective treatments are achieved based on 5 years of Research and Development. Amazing advantages include: Full training provided, no competition, medication free offering, patented technology and more! Full training is provided to help you maximise your territory, use of equipment and backend system training. You will also receive an Equine Salt Therapy Practitioner Certificate after completion of all the training modules. Our ‘portable’ salt rooms are now available for on-site treatment. This business opportunity includes a mobile horse trailer, equipment, and an exclusive territory for your operation. We hold the global patent for our treatment method and therefore you will have no competition. Launch your business with our marketing and training support. You will receive brochures, branded clothing (in conjunction with your own brand) and social media support. You will have the freedom to create their own logo & website to further your business. Equine Salt Therapy offers a great opportunity for a person to start their new business in the equine industry. – Become your own Boss and operate your very own business in a designated territory. 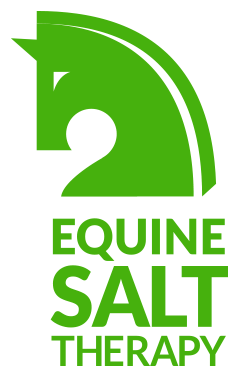 – No Competition – Equine Salt Therapy has a global patent pending, already approved in some countries. – High end natural health solution available right up until day before race. – A reputable non invasive system to treat horses. – Accepted by the Racing Authorities around the world. – Drug free high performance treatments. – Allows for expansion into the domestic animal area. Our world first Equine transportable salt room aims to improve and maintain performance, recovery and wellbeing of equine athletes via our patented dry salt therapy delivery system.